If your business is involved with the production, preparation or sale of food and drinks, you may benefit from the wide choice of commercial refrigeration equipment that is available. Read below to learn more about commercial refrigeration, the different types of units that we offer and how they can benefit your business. Commercial refrigeration describes any unit that is used for cold storage by commercial businesses, including restaurants and hotels, cafes, bars and pubs, shops and even florists. Commercial refrigeration is essential for these businesses as it improves the quality and freshness of their stock, extends the shelf life, helps them to conform to health and safety regulations. Commercial refrigeration units also reduce the risk of food poisoning by providing a reliable way of keeping food at the appropriate temperature needed to prevent the growth of harmful bacteria, as they are designed to cope with demanding conditions and frequent use. Domestic fridges are unsuitable for commercial applications as they cannot store or consistently cool large amounts of food. Safe food storage – unlike residential freezers, the internal temperature of a commercial fridge rarely fluctuates more than a couple of degrees, which helps to stop the growth of harmful bacteria. Improved quality and prolonged stock life – the taste, appearance and nutritional value of fruits, vegetables, meats, fish and dairy products can be improved when stored at the correct temperature. Stock management – commercial units are designed to easily store and organise a lot more food than residential refrigerators. Good organisation helps businesses to improve cleanliness and create less food waste. 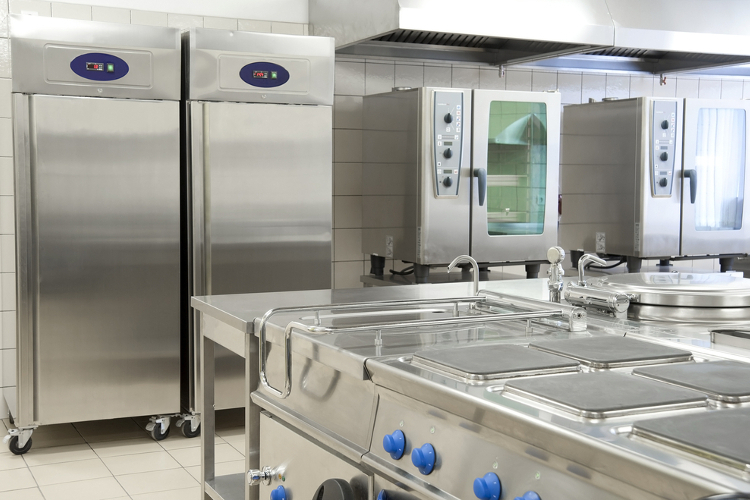 Easy access – commercial refrigeration units are often a lot bigger than residential freezers which allows for quick, easy access – great for a busy kitchen environment! Variety of solutions available – it’s not just fridges and freezers! There is a huge choice of equipment to suit a variety of businesses. There is a multitude of equipment that comes under the umbrella of Commercial Refrigeration, all of which Refrigeration (Mitton) can provide. See below for information on popular items. Bottle coolers – displays bottled drinks and keeps them cool, ideal for use in pubs, bars, cafes and restaurants. Ice makers – used to provide ice cubes for drinks. Cellar coolers – used by pubs and bars to cool beer and wine cellars. Cold rooms and freezer rooms – a temperature controlled room that can be used to store a large amount of food. They are easily accessible so ideal for commercial kitchens. Chilled and frozen storage cabinets – designed to withstand heavy use and high temperatures. Display cabinets and cases – keeps stock cool and upright and whilst enticing customers to make a purchase. Ideal for shops and cafes. Blast freezers – widely used in the food industry for rapid cooling of products such as ice cream, frozen meals, meat, fish, poultry and vegetables. If you’re about to open a new catering, retail or food production business that requires commercial equipment or your current business is growing and you need a refrigeration unit that can keep up, contact us today. Mitton has been synonymous with the Refrigeration Industry throughout Cumbria and Southern Scotland for over 60 years. Our experts can design, supply and install a variety of commercial refrigeration solutions as well as provide routine maintenance. We also have a new website stocking a wide variety of commercial refrigeration and catering equipment. Click here to visit CaterAppliance.